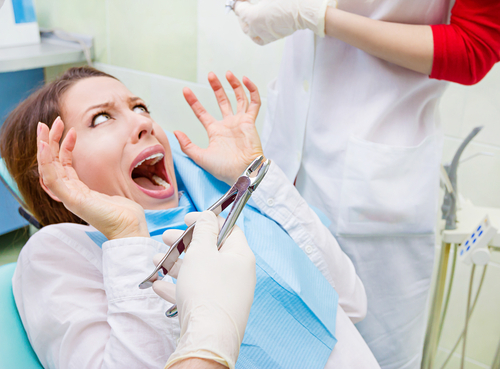 Dental fear is incredibly common among adult Americans. In fact, an estimated 80 million Americans have some level of dental fear. While the team at our dental office in Austin certainly understands that being afraid of the dentist is a very real thing, we also always want to try our best to help our patients and neighbors understand how they can overcome that fear and, dare we say, start to enjoy visits to the dentist. Talk About It. Perhaps the most important way to combat dental fear is to establish trust with your dentist in Austin. It may help if your dentist talks you through the appointment, letting you know exactly what is going to happen next and what you should expect. Discuss your concerns with your dental team to find what works best for you. Whether it’s been awhile since you’ve seen a dentist due to dental fear, or even if you’re just searching for a new dental home, we welcome you to call our Austin dental office to schedule an appointment. Our entire team is dedicated to treating each and every patient with the gentle care they deserve and we’d be happy to work with you on easing any fears you may have.